Well, it's about time this got released - and while I don't often claim to be ahead of the curve when it comes to pop music, I can definitely say I was in this case. I was covering Dua Lipa on World Hit months if not over a year ago on Billboard BREAKDOWN, and while I knew her throatier tones and poise would make her a natural fit for the Europop markets, I wasn't really expecting her to cross over to the United States. But then 'Blow Your Mind (Mwah)' hit the Hot 100, and Martin Garrix brought her on for 'Scared To Be Lonely', and the clock was set on that major label debut, which has been in development since early 2015. And I have to be honest, I had a hard time setting expectations - 'Be The One' is a terrific pop song, but it's one of six singles that Dua Lipa released trying to give this some traction, and from the nearly two dozen producers and songwriters backing her, I had the uneasy feeling that this was a record that's long been in development, maybe even overworked. 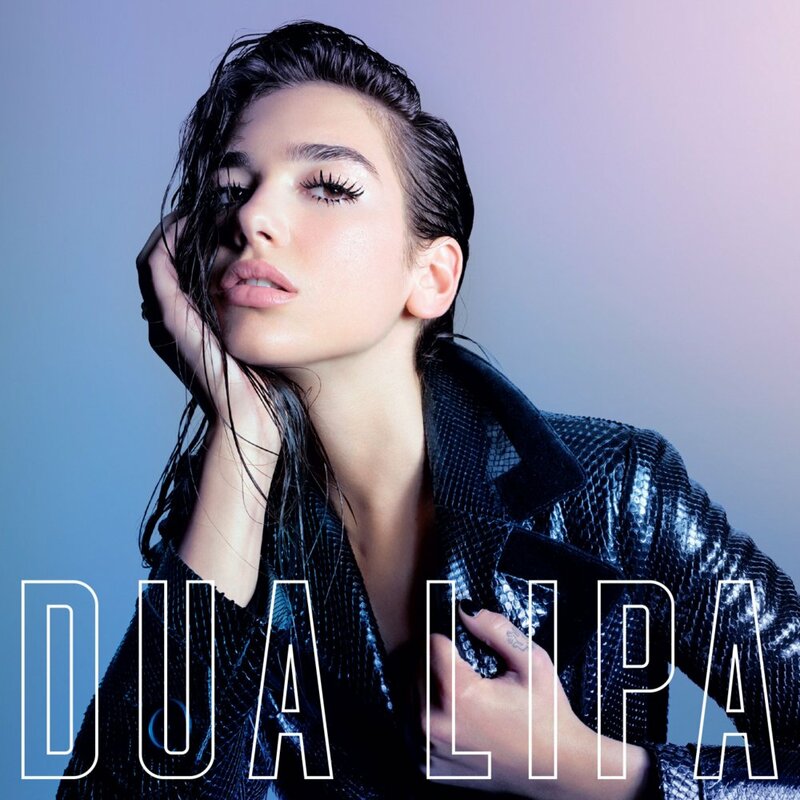 Props to Dua Lipa for having writing credits on every song except 'Be The One', but at the same time, would this be the jump-off point for crossover success, or would Dua Lipa fall into the list of so many good but not great pop debuts that often become forgotten months later, especially on this side of the Atlantic? Well okay, I do think the question of whether this sort of album will cross over is a bit of a crapshoot - I can see a lot of similar elements between this self-titled debut and, say, Chapter One by Ella Henderson, and yet the funny thing is that while this record does feel a little less ambitious, it also arguably delivers more quality with less, which is a very promising sign going forward with Dua Lipa's career. As it is, it's a good record, but it's the sort of solid pop record that won't really surprise or shock anyone, or take that necessary step in innovation or punch to elevate it to greatness. But let me make this very clear, the fundamentals here are strong, and that has to start with Dua Lipa. And I'll repeat what I said back on Billboard BREAKDOWN, I like her a lot as a singer - she's got a natural knack for groove and cadence that means her writing is rarely forcing a rhyme, but she's also got enough force of vocal personality courtesy of a deeper alto and real poise to stand out from the reams of baby-voiced or rasping crooners that have flooded modern pop. Dua Lipa has pipes, with a ton and delivery that more than anything with her multi-tracking suggests a young Pink, maybe with a little less rock intensity or howling firepower, but it also seems like she'll avoid the slipups that came in some of Pink's more uneven writing. And it also helps considerably that when her production gives her real groove, Dua Lipa can latch on and ride. I've already talked about how damn sweeping and infectious 'Be The One' is - the song is still excellent with its synth melodies and watery rollick - but when this record picks up a significant bass groove like with the tropical touches on 'Begging' and 'Genesis', or the thrumming house intensity of 'Hotter Than Hell', you at least get the impression that there'll be a fair few EDM producers who'll be drawing on Dua Lipa for hooks beyond Martin Garrix. Then there's her collaboration with Miguel 'Lost In Your Light', where yes, I'm not exactly thrilled with the blocky, trap-influenced slowdown against the swirling gallop, but as an excuse to bring in a real guitar to return to the main groove, it's a damn good one, and she and Miguel have solid chemistry. Hell, when this record tilts back towards more guitar-driven territory like 'IDGAF' and the lingering smolder of 'Thinking 'Bout You', they could very easily be slotted in as midtempo Pink tracks. And while I'm still not quite convinced Dua Lipa has the subtlety just yet to nail a more restrained piano ballad, opposite Chris Martin on 'Homesick' she does a remarkable job. Now if I were to criticize this production... well, I could nitpick at points like the filters piled onto the vocal breakdown of 'New Rules', but I think my larger complaint is that the record can feel a little too overworked and polished - Dua Lipa has the personality to ride production that has more edge or intensity, and I really wish we got that. Hell, most of the mix depth is already there, I just want more of the bite - which takes us to the lyrics. There seems to be two main molds in the writing on this record, and let me preface this by saying that in terms of poetic composition, it's actually pretty damn solid, with the only real forced rhyme coming on 'Garden'. But the two molds Dua Lipa has - alpha female pop star capable of easily holding the attention of any guy for as long as she needs; and heartbroken girl frequently begging to be taken back - they do lead to a bit of whiplash from song to song, and I'd definitely appreciate more detail to flesh out the situations. Hell, you get a variant of that dichotomy on 'Blow Your Mind (Mwah)', and while the kiss-off still irks me, the song does have the sort of spark of life and detail wish cropped up more. There are a few broadly sketched biblical references - with 'Garden' going for biblical hyperbole and not really sticking the landing for me - and while I do appreciate Dua Lipa bringing some balanced and straightforward framing, I'd have liked a little more detail to make these stories feel a bit more unique. Granted, for songs like 'Be The One' or 'Lost In Your Light' or the relentless kissoff of 'IDGAF' or the yearning of 'Homesick' or even just the half-trashed 'Thinking 'Bout You', the directness works to compliment the delivery and overall emotion, but still, there could have been a little more here. But beyond that... I'm not going to say this record completely surpassed my expectations for a pop debut - in fact, there weren't many surprises on this project at all, I expected a solid pop record and that's what I got. But that's not to dismiss what we got here either - this is still pretty damn good and very listenable, the sort of debut that showcases a ton of potential going forward, and I truly hope it's enough to give her the traction her career needs, especially in Europe. As such, I'm giving this a very strong 7/10 and definitely a recommendation, especially if you've been looking for this sort of pop music. Otherwise... probably won't blow your mind, but definitely worth a look, so check it out!